Drove to Dreifels from my office in Zurich: 35E pack genesis. Very relaxed return home – percentage counts down very, very slowly. 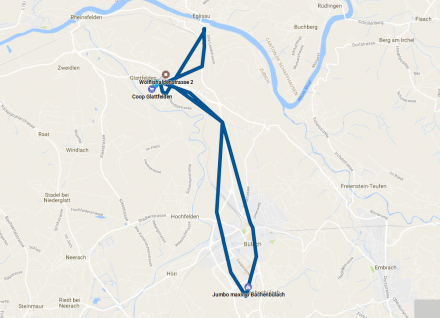 Day at home, some quick trips to Bülach. Same, same. 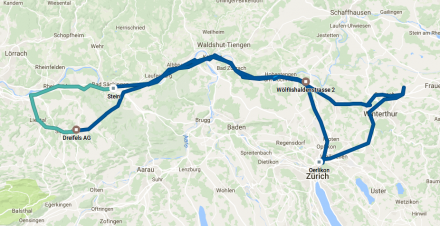 An additional trip to Eglisau. How much capacity does my battery have? After this day, we know it’s 17.77kWh! One day trip to Austria with my oldest daughter, 100% motorway going there. Voltage drops surprisingly far when under full load. 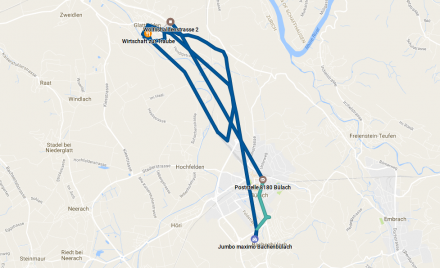 A very slow drive to Austria – emulation of TWIKE long-distance travel. I stay overnight after sampling (and buying) some very, very good distillates during my very own private tasting session. Michelehof has been awarded multiple world spirit awards and by appointment, Albert Büchele opens the distillery for visitors and allows people to buy from his world-class spirit selection direct. A very interesting drive back home via the Bregenz Forest. In total, TW560 did 1327km during its first ‘big-battery’-week! 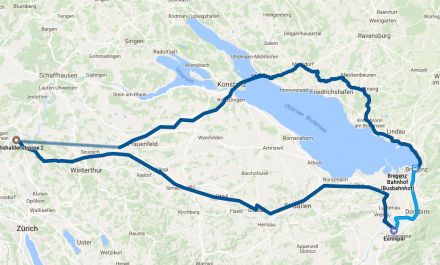 Looking forward to driving across Switzerland on one charge…on the motorway! More and longer motorway trips will have its toll on IGBT’s, connectors and motor -> Joint analysis with Dreifels required to mitigate these risks! There are certainly many more points, but for now I’m just extremely happy to have the new pack!